Are you looking to undertake a CCTV Installation? 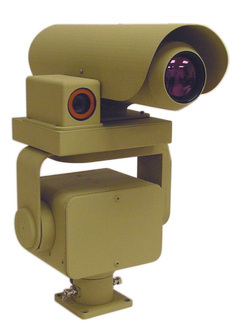 Why should you chose NEW ARMOR New Jersey CCTV for your project? Because we cater to all sectors. No project is to small - nor to big. Security Camera Systems installed and or maintained by our company, comprise camera numbers from one to several hundred. Ideal CCTV have installed CCTV Systems in the entire Greater London area; for the largest universities, for local authorities and housing associations, for factories and wholesale, for retail and markets, churches - charities and media studios, Nation-wide store chains, domestic customers and last but not least - many farmers. The list is of course by far not complete. Because we are not General Security Specialists - But CCTV Specialists. Traditional security companies have to split their expertiese, experience and training of engineers over many fields. General activity spread may look like this: Intruder Alarms 60%, Fire Alarms 15%, Intercoms and Access Control 10%, CCTV Systems 10%, Gates & Barriers 5%. Our CCTV System expertiese and Activity: 100%. You will see - It does make a difference in pricing and reliability. Because as part of our quotation process you will be speaking directly to one of our Installation Specialists with at least ten years experience on the tools before they became salesmen. Because Ideal CCTV are experts in High Definition Megapixel IP NVR Systems and Hybrid CCTV solutions.